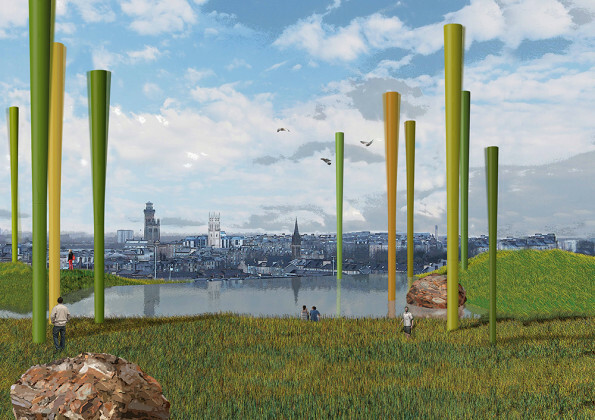 Wind Forest mimics the activity of a forest by absorbing energy from the passing wind, and distributing it to its diverse and connected community ecosystem. 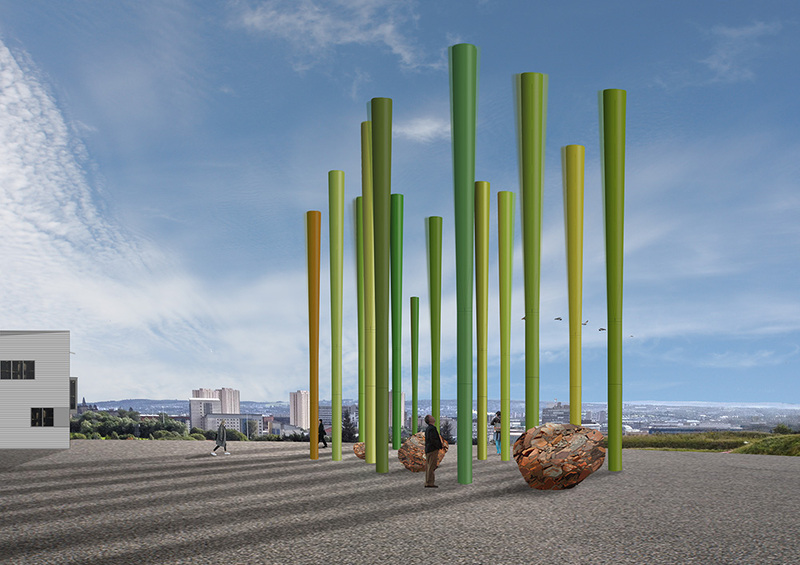 Conceived by Dalziel + Scullion, Qmulus Ltd., Yeadon Space Agency, and ZM Architecture, Wind Forest is a permanent public art installation that uses an innovative form of wind power to generate enough electricity for approximately 300 dwellings. 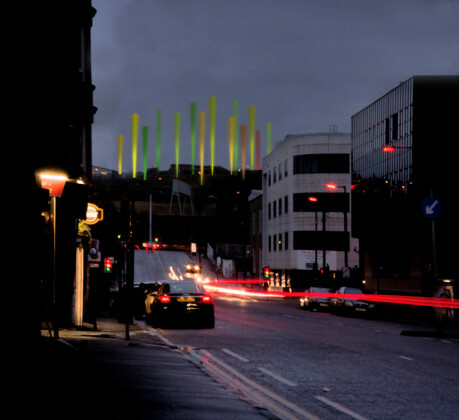 The project will be an important part of the new mixed-use development currently being planned for 100 Acre Hill (also known as Dundas Hill) in Glasgow, Scotland. 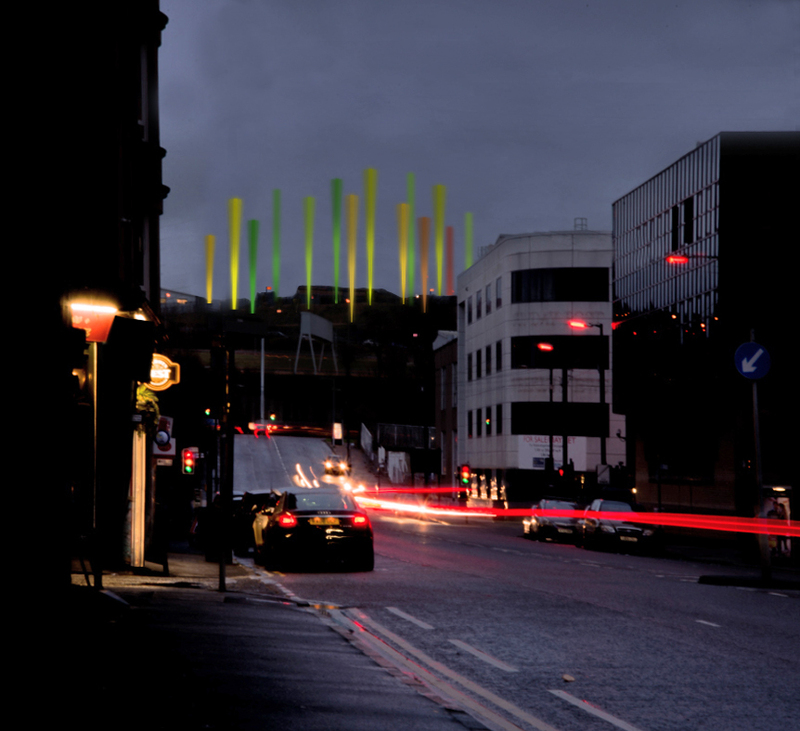 Beyond Glasgow, the project also resonates with issues connected with the reinvention of urban brownfield sites throughout multiple global post-industrial cities. 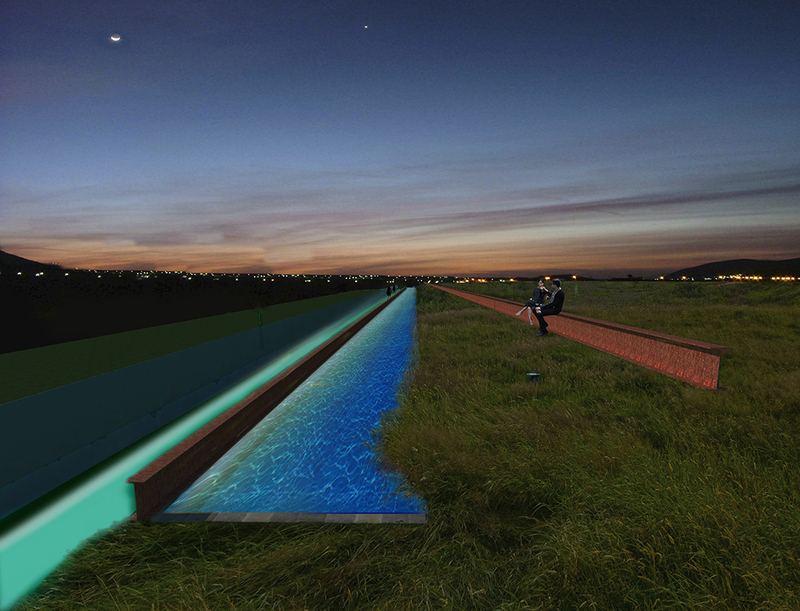 The proposal has won the LAGI (the Land Art Generator Initiative) Glasgow international design competition that challenged participants to bring creative solutions for a clean energy infrastructure to a brownfield site. Wind Forest aims to transform the post-industrial landscape of 100 Acre Hill, with an enriched infrastructure that is based on ideas around technology, landscape and context. 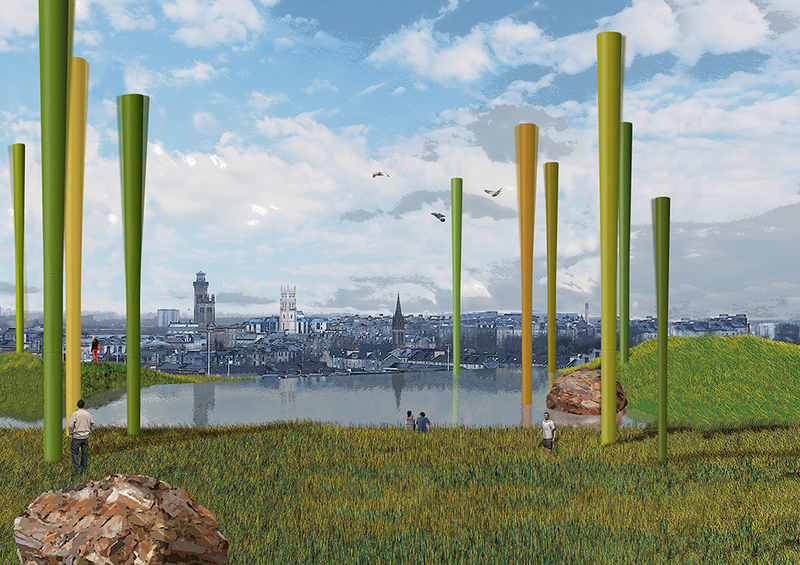 On the site, groves of bladeless wind turbines with different spatial, sensory and environmental qualities are planned. Hence, Wind Forest mimics the activity of a forest by absorbing energy from the passing wind, and distributing it to its diverse and connected community ecosystem. Wind Forest works with the physical landscape of 100 Acre Hill, upon which one hundred 4 kW single stem-like wind turbines will be planted. A revolution in wind energy design, these stems have no blades, have no gears or bearings, are noiseless, and do not present a hazard to birds. Instead, they generate electricity by oscillating, resulting in reduced maintenance costs, reduced manufacturing costs, reduced transportation costs, and smaller foundations. Each of the stems will be colored using a palette that draws from the year-round colors of natural deciduous woodlands. 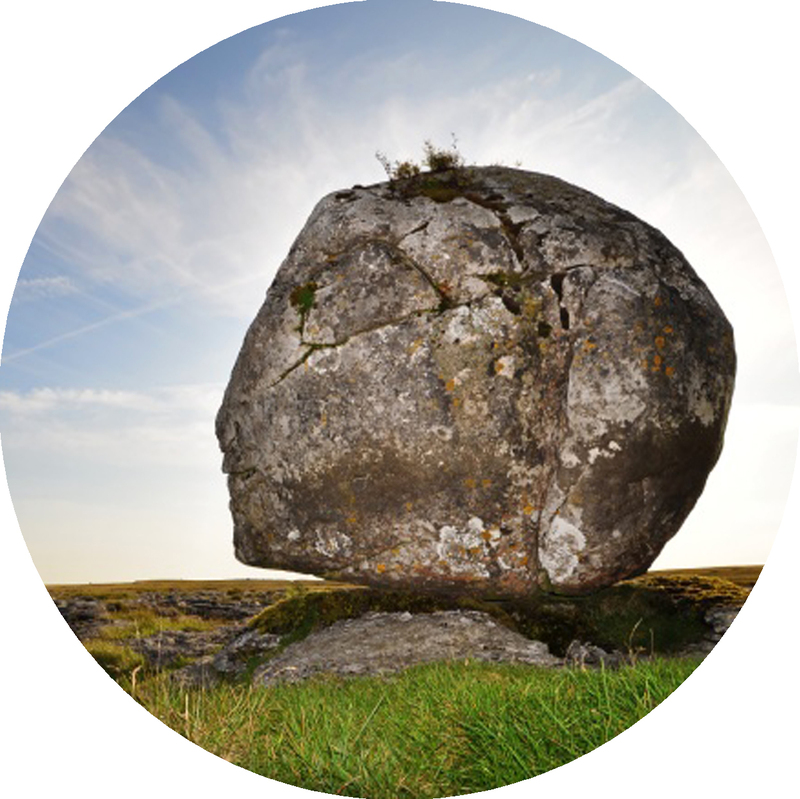 The 13-meter high stems (about the average height of a Rowan, Hazel or Hawthorn tree) generate power by oscillating from a fixed point in the lower half of the structure. The top of each stem has the capacity to circle up to 2 meters across which when amplified over the entire forest would be a unique and exciting spectacle to stand amongst. Together, they will power about 300 dwellings. The techno-boreal forest is arranged as three groves that distinguish distinct spaces across the site, while generating energy by swaying in the wind. One of the groves is at a gathering place or common. The second grove forms a central wetlands area with a natural SUDS (sustainable urban drainage system) basin, and the third is a glade at the edge of the site that opens onto spectacular views of Park Circus and the City. 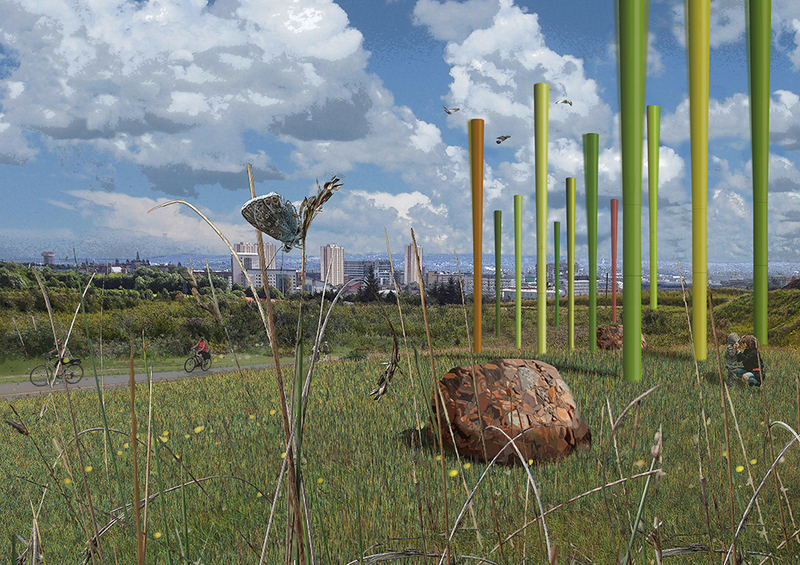 This particular grove is most visible from Glasgow City Center and it will be sited partially on one of the sloping sites that is more difficult to build on. 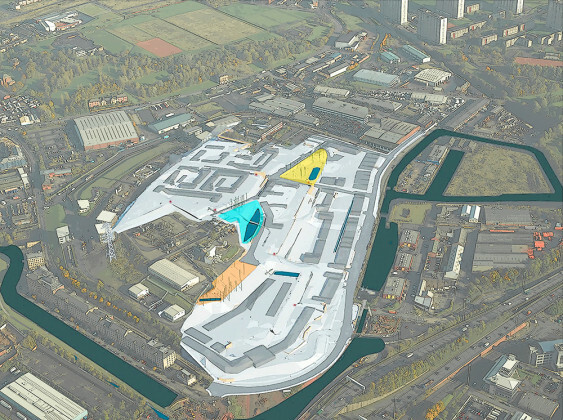 All sites are exposed areas in no build zones within the current masterplan and will be interconnected through a path network.